It must be odd, to write a Western today. 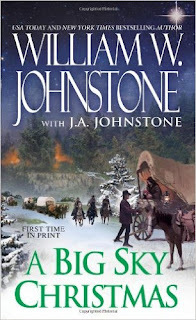 If someone’s just writing a straight Western, I wonder how many are caught in the weird space like this one -- the language and philosophy has to be somewhat dated or you’ll never make it through a plot with a bunch of characters going out to “settle” land where people live. But it can’t be too dated - you need a female character with spark (but she’s still a good girl, just an adventure-seeker) and some supporting characters who are Native American and Jewish, so that the white male main characters can prove how open-minded they are. As I said, all the characters who are straight-up villains turn up one after another to be killed by the unstoppable skills of the main character. None of these characters seem to have any motive other than “be a one-note villain.” All the characters who are more just nasty (bigoted, sexist) end up dead as well, but by other hands. Technically we don’t know whether all the Native people who end up dead after fighting with the characters were villains, because unlike the white villains, they didn’t get any point-of-view passages. I started reading faster and faster in the middle, as I realized that I didn’t really care whether any of the characters lived or died, or got where they were going. 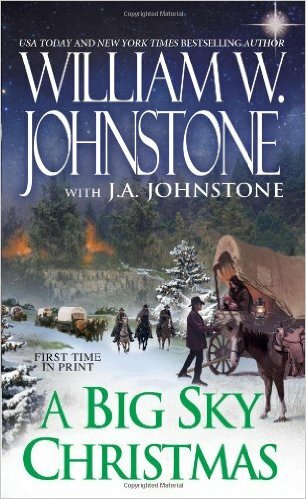 I did make it to the end, though, so I can report that the wagon train is saved from a fire by a Christmas Eve snowstorm. Also, earlier there’s a bit where a Jewish rabbi and a Cheyenne medicine man understand each other sort of because religion is magic. Again, it’s not bad on a technical writing level, but it was really, REALLY not for me. 1 Star - Didn’t Like It.